Who is better? There isn’t a definitive winner. Robots. Fairies. It’s up to the reader to decide who wins. Robots vs. Fairies is by far one of the best anthologies I’ve ever read. The vast majority of stories included are extremely strong. Even those that are somehow tied to larger, more expansive worlds or stories by the same authors still hold their own. Which side won for me? I always thought I was on team fairy, but I think Team Robot won out for me in the end. This is due in no small part to the story “All The Time We’ve Left To Spend” by Alyssa Wong, which now ranks among my favorite short stories of all time. This is a story of robots and humans, of regret, and of memories. It’s serious in nature, dipping its toes into the realm of uncanny valley, and I cannot recommend it enough. Seriously, if you read no other story in this book, read this one. This is hardly the only stand out story. There are plenty that are absolutely wonderful, ranging in tone from those that are dark or serious to the humorous. John Scalzi’s “Three Robots Experience Objects Left Behind From The Era Of Humans For The First Time”, a tale of three robots trying to understand humans and their activities in a post-human world. Or you could read a story of libraries with living books and vindictive fairy queens in Tim Pratt’s “Murmured Under The Moon”. A few stories also fit in – or could very easily fit in – an author’s larger body of works. The most obvious is, perhaps, Delilah S. Dawson’s story “Ostentation of Peacocks” which features Nettie Lonesome in The Shadow series, which is written under the pen name Lila Bowen. 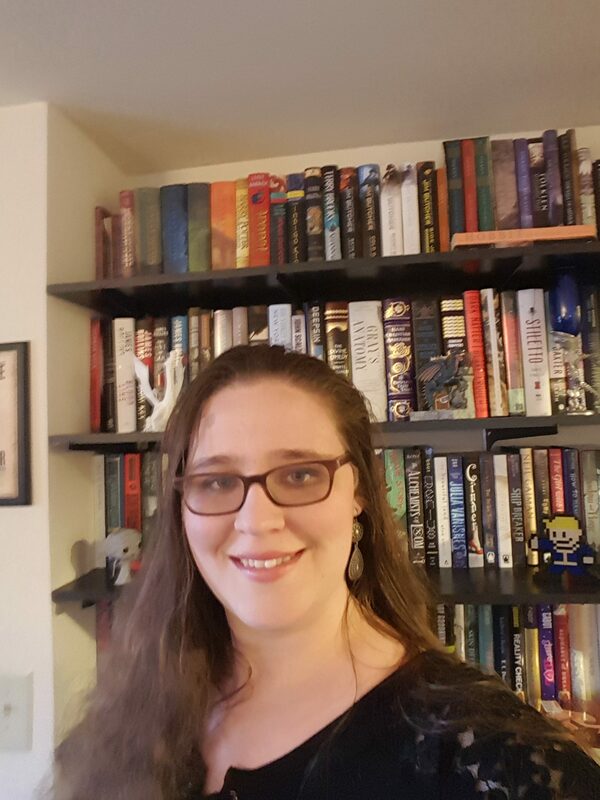 Annalee Newitz’s story “The Blue Fairy’s Manifesto” is a tale of two robots discussing their autonomy, something that fits quite neatly into the world spun in her novel Autonomous, and sure to please fans of that book. Of course, I didn’t love every story. A few were a little weaker. The finer details are beginning to slip from my mind. But they never made me want to put down the book. I never felt bored. And I am glad I read them. Really, there is something in here for everyone. Fairies who are dark and sinister. Robots who question their place in the universe. There are stories that draw on familiar tales in some – Peter Pan, Pinocchio, and more. There are stories that fall neatly into an author’s larger body of work. 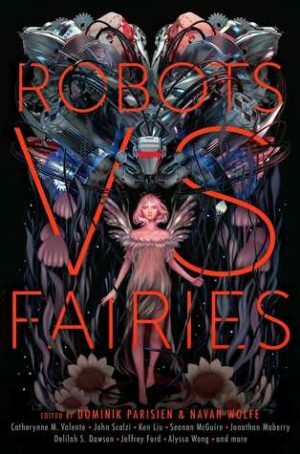 If you like fairies, if you like robots, if you like stories that will stay with you long after reading them, then Robots vs. Fairies is the book for you. I cannot recommend this book enough. It is home to some of my new favorite short fiction stories. 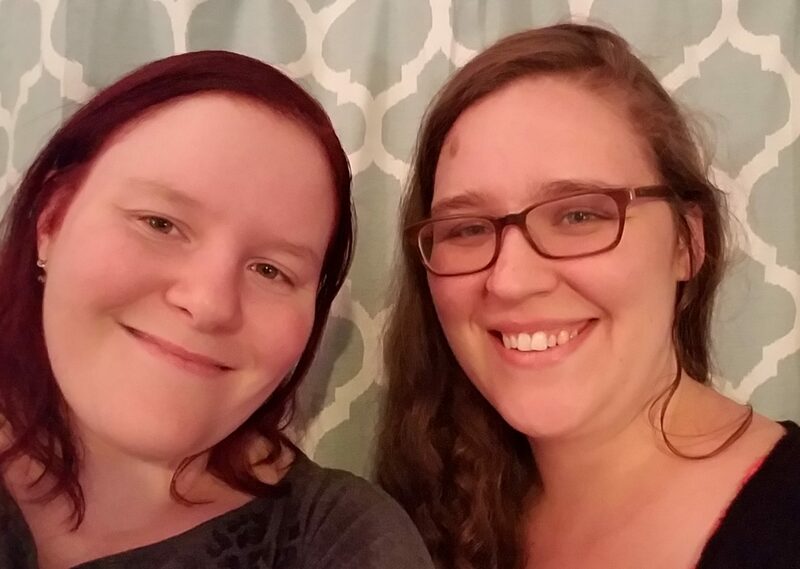 I’ve found new authors (new to me, at least) whose other works I plan on reading. This is a book whose praises I cannot sing enough, and a book that I hope everyone will read.